If you’re looking for the ultimate jacket-style BCD, the wait is over – as Atomic Aquatics finally launches the BC1 here. The new BC1 has finally gained CE approval for sale in the EU and will be stocked in Atomic’s EU warehouse from the end of May/early June 2018. It doesn’t come cheap, with an RRP of £1,099.95, plus your choice of either AI Titanium or Stainless Steel inflators. But you get a lot for your money: unusually (uniquely?) for a buoyancy compensator, the BC1 is made of polyurethane – water just runs straight off. And the racheting CAM-LOK tank works in the same way to ski boot bindings. 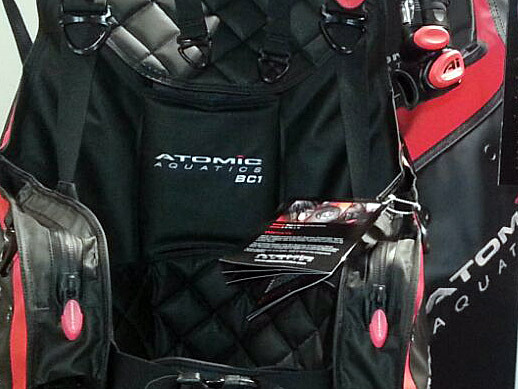 To see the new BC1 for yourself, contact your nearest Atomic Aquatics dealer now. British Diver expects to test dive the BC1 very shortly.